80-Page Giant was the name used for a series of comic book published by DC Comics beginning in 1964. The series was named for its unusually high page count. (The typical page count for American monthly comics at this time was 32 pages). The cover price was initially 25 cents, while other comics of the day were rarely above 12 cents. 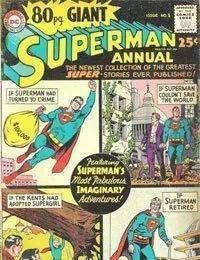 Many of these Giant issues contained reprinted material, often including material from the Golden.